The Surface Event in Las Vegas was a real success for Michele Cassalia, Director of the asthma & allergy friendly® Certification Program. She was able to meet with one of the latest client of our Certification Program, Congoleum, who was showcasing its new certified flooring product. She also got the opportunity to meet with some very promising flooring companies interested to get some of their products certified. Their very innovative certified flooring, called CLEO Home, is a one of kind product. It passed our scientific standards and showed ultra-low levels of chemicals. It has zero PVC, plasticizers, phthalates and chloro-chemicals and a very low level of VOC. Several other important companies within the Flooring industry also showed a strong interest in the certification Program. Michele was delighted to see that these companies are really promising as they are looking to innovate and develop healthier products in order to answer the consumers’ demand for eco-products. 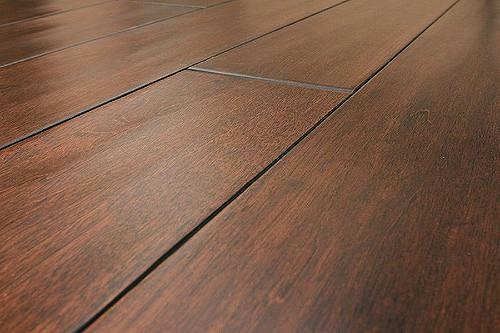 More flooring companies seem to be heading towards more sustainable healthier products. As consumers want to be able to make their homes free from chemicals while not giving up on the interior design, manufacturers have to adapt to that new trend by offering consumers a large range of innovative flooring products that are healthier.